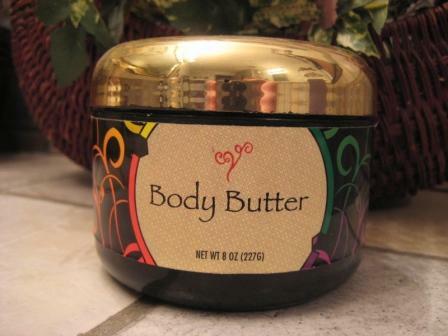 Rich body butter in yummy assorted scents. Apply generously to feet, knees, and elbows for incredibly soft skin. Our body butters are enriched with shea butter and cocoa butter from our own special recipe and are now available in 8 oz, 4 oz, and 2 oz containers. 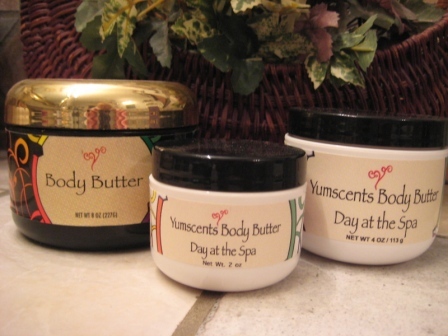 I love...love the body butters!! I have very dry skin and need a powerful moisturizer. 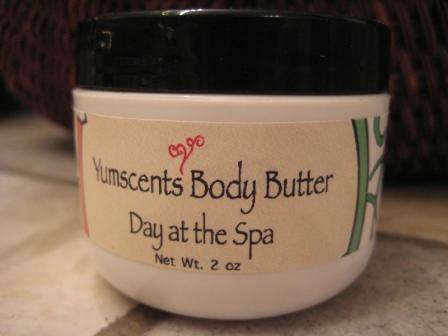 The body butter is non-irritating and formulated with natural ingredients that are agreeable for my sensitive skin. Leaving my skin feeling silky smooth and smelling good. My favorite scent is Love Spell. I also love the bath bombs!! I am in love with this body butter! This is excellent body butter. I soaks in well and makes my skin feel amazing. They have so many wonderful scents to choose from. Some we have loved are: Plumeria, Sweet Pea, Freesia, Coconut Lime, Love Spell, Honeysuckle Jasmine, Caribbean Escape,and Peppermint Bark. Every product we try from this company makes us so happy. We also love the bath bombs, oils and lip balms. It is all great quality and a great value.